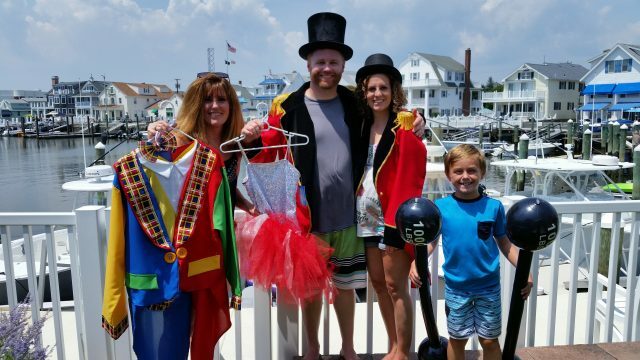 Getting ready with their circus costumes for Night in Venice are Sue Hornyak, left, her son, George, his wife, Lauren, and Tommy Jackson, the son of Hornyak's niece. Ladies and gentlemen, step right up! 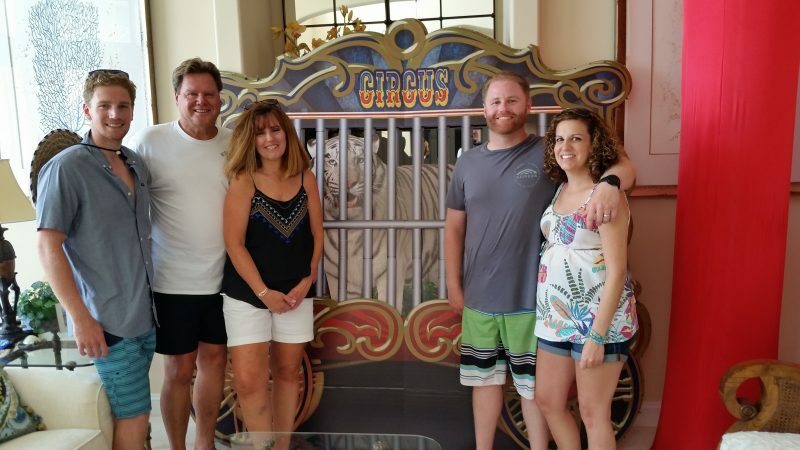 Sue Hornyak is transforming her Ocean City bayfront home on North Point Road into the “Big Top,” a circus-sized tribute to Ringling Bros. and Barnum & Bailey. A few doors down on North Point Road, Suzy Dolaway’s bayfront house will become a giant, disco-themed party featuring the quintessential silver dance ball and lava lamps. Groovy, baby, groovy. 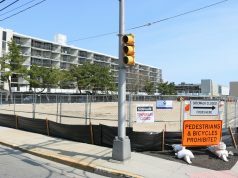 On Bay Avenue, the folks at the Ocean City Yacht Club will suddenly find themselves partying at the “Ocean City Rock Club” as part of a rock-and-roll-themed makeover of the typically more sedate historic boathouse. 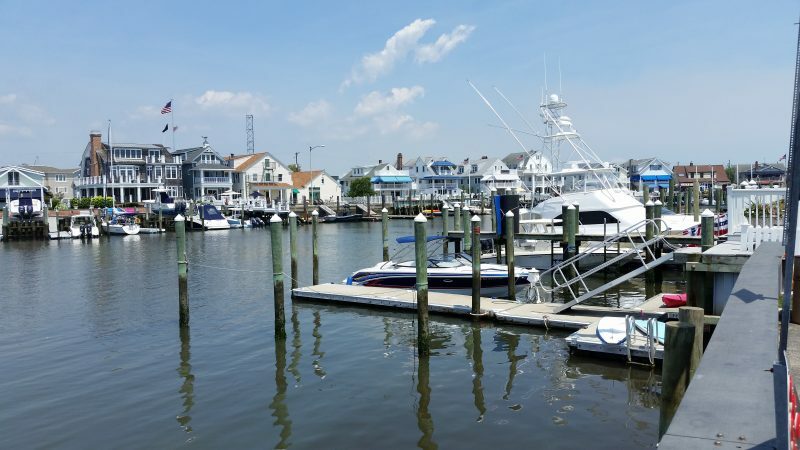 All this revelry is inspired by Ocean City’s Night in Venice, the spectacular annual boat parade that unfolds along the back bays between the Ocean City-Longport Bridge and Tennessee Avenue amid colorfully decorated homes and huge crowds. On Saturday night, the picturesque bayfront will come alive with the Night in Venice boat parade, colorfully decorated homes and huge crowds. This year, Night in Venice will boast a “Rockin’ Through the Decades” musical theme. 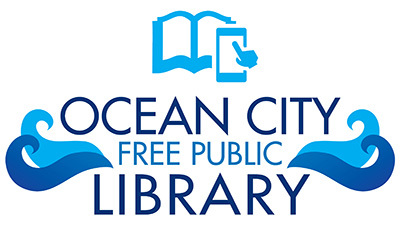 City spokesman Doug Bergen said an estimated 50,000 spectators will be in town to marvel over what is Ocean City’s largest summer event. A fireworks display after the boat parade will cap off the festivities. 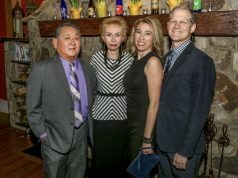 Members of Sue Hornyak’s family have come from parts of New Jersey and Pennsylvania to her house at 265 North Point Road for what has become a grand, annual celebration featuring over-the-top decorations and themes. Hornyak said her house has won prizes four years in a row for its elaborate decorations, giving her family a virtual Night in Venice dynasty. In 2015, the Hornyak family got decked out in Great Gatsby costumes and followed up last year with a comic book-style Superheroes theme. On Saturday, Hornyak is turning her home into the “Big Top,” as she pays her last respects to the Ringling Bros. and Barnum & Bailey Circus, which faded into history this year. There will be clowns, tightrope walkers and cardboard cutouts of circus animals. Sue Hornyak, third from left, and members of her family show off some of the circus-themed decorations at their home. Her oldest son, George Hornyak, will play the featured role as the costumed ring master. But this weekend promises to be even bigger for George and his pregnant wife, Lauren. They were planning Friday to announce the gender of their unborn child to the entire family. Sue Hornyak said the gender-reveal party, coupled with the Night in Venice festivities, promises to make the entire weekend particularly special. Night in Venice has been a tradition for her family for 13 years. Suzy Dolaway, one Hornyak’s neighbors, is also getting ready for Night in Venice, a tradition for her family as well. 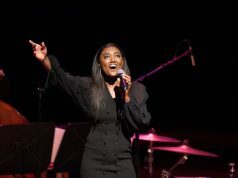 This year, Dolaway plans to have about 125 friends and family members at her house at 231 North Point Road for a 1970s-style disco party featuring live music. “The theme will be ‘Disco on the Dock,’’’ Dolaway said, noting that the decorations will include a silver disco dance ball hanging over the center deck, lava lamps on the tables and tiny, foil-like fringes. 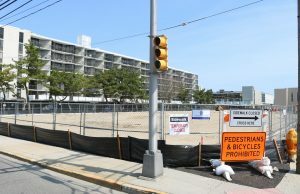 A few blocks away from North Point Road, members of the Ocean City Yacht Club at 100 Bay Ave. were preparing to convert the 116-year-old boating haven into the “Ocean City Rock Club” to celebrate Night in Venice. Three big bedsheets that have been turned into rock-and-roll-themed banners will be unfurled on the yacht club’s bayside for everyone in the boat parade to see, said Kathryn Doms, who serves as the club’s rear commodore. 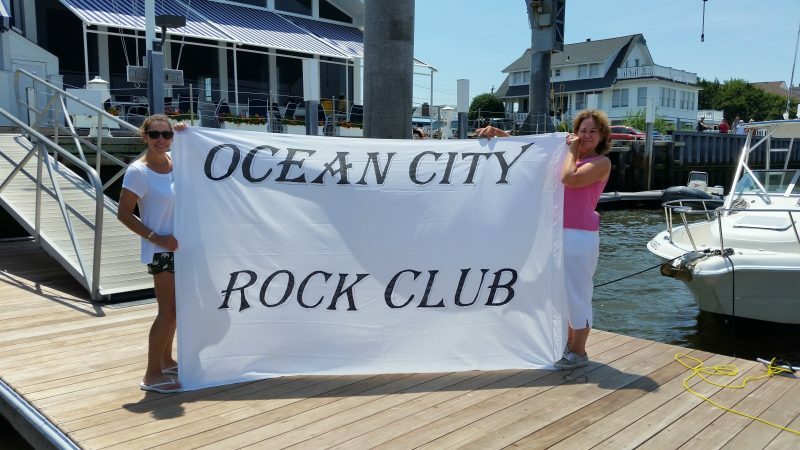 At the Ocean City Yacht Club, member Faith Camp-O’Donnell, left, and Kathryn Doms, who serves as rear commodore, unfurl an “Ocean City Rock Club” banner that will be on display for the rock-themed Night in Venice celebration. The celebration was scheduled to begin Friday night for what the yacht club calls its annual Junior Night in Venice. It is a flotilla of decorated sailboats, piloted by dozens of children, that is showered with candy thrown from people at lagoon-front homes. “They actually take fishing nets,” Doms explained of how the children catch the candy. On Saturday morning, members of the yacht club will scramble to put the finishing touches on the boathouse to have it fully decorated for Night in Venice, Doms said. “Everyone arrives at 9 a.m. It’s fun to do it at the last minute because everyone works so well together to get it done,” she said.